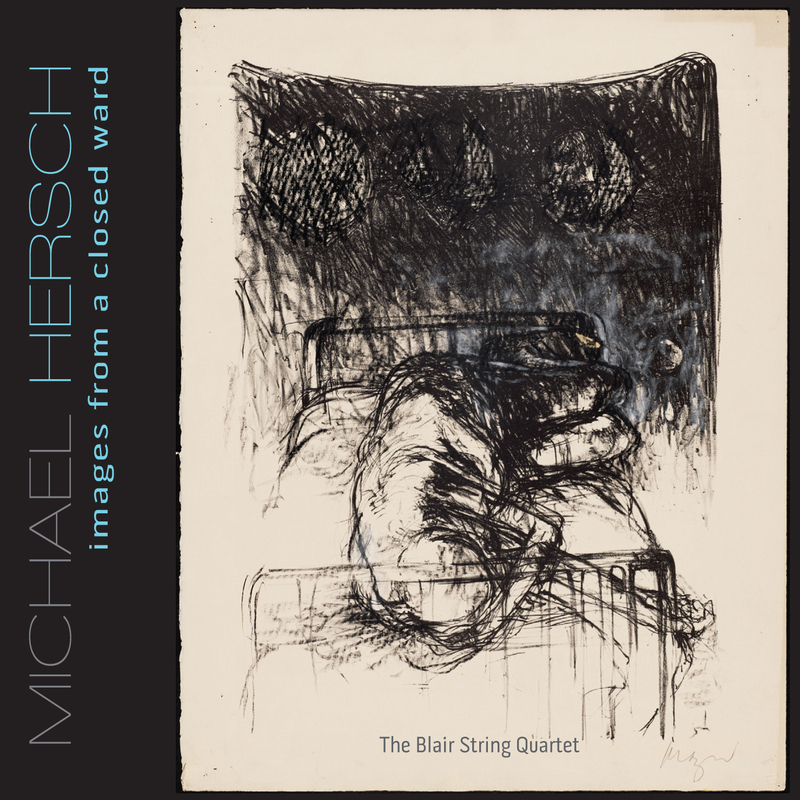 In Images from a Closed Ward, composer Michael Hersch has crafted a tone poem for string quartet inspired by the haunting images of Michael Mazur (1935–2009). By turns harrowing and uneasy, the work gives instrumental voice to something voiceless, finding a genuine grain of human experience in a dark, difficult place. Art critic John Canaday, writing on Mazur’s etchings and lithographs of inmates from a Rhode Island psychiatric hospital in the early 1960s, said the subjects “have the terrible anonymity of individuals who cannot be reached, whose ugly physical presence is the only symptom of a tragic spiritual isolation.” It was these images that resonated with Hersch, leading him to compose his first string quartet in almost twenty years. The highly regarded artists in residence at Vanderbilt University, the Blair String Quartet, who gave the work’s premiere and for whom it was written, deliver a definitive accounting on his innova Recordings release.